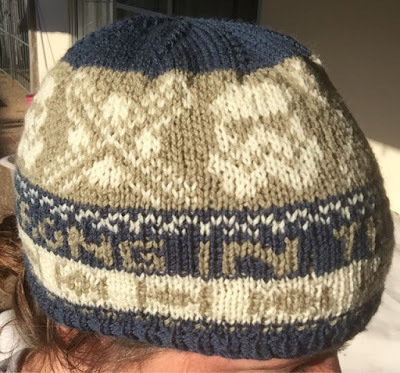 This post is a surprise for two reasons: firstly, I have completed a hat for my favourite little man (but he's not getting it until his birthday in April); and secondly, because I didn't realise that this was going to be a knitting post until about half an hour ago. I had intended to enter this into the Royal Easter Show but I'm not sure it falls into the category for "Adult Accessory" and I stupidly didn't enter the one for "Child's Accessory". 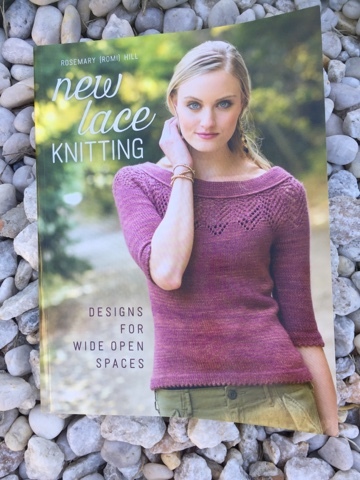 My other knitting news is that the book, that I dithered about buying for about 6 months, is finally here. I recently discovered that I couldn't buy the PDF through Australian Amazon and that shipping from American Amazon cost more than the book... Well screw you Amazon, it arrived today! It was smuggled into Australia by a friend's American relative. Admittedly, Amazon still got my money but it really shouldn't be that hard to buy a book! Here it is, it is lovely and well worth the effort. 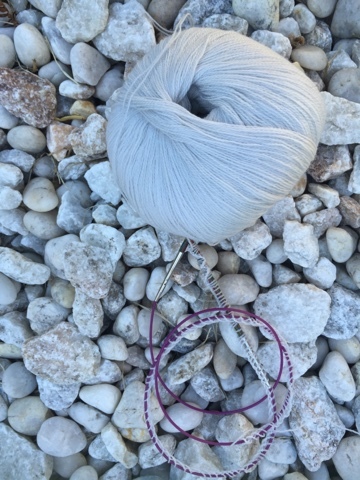 And I have cast on my shawl after freaking out that I only have 35 days to knit a 2ply shawl! Did you get the Morris French Grey??? How do you knit so fast??? Also the hat is very cute, is that on your head? I think so. You could get away with an adult accessory then I think? The hat is on my head, I might submit it anyway. I've nothing to lose and paid for a spot.